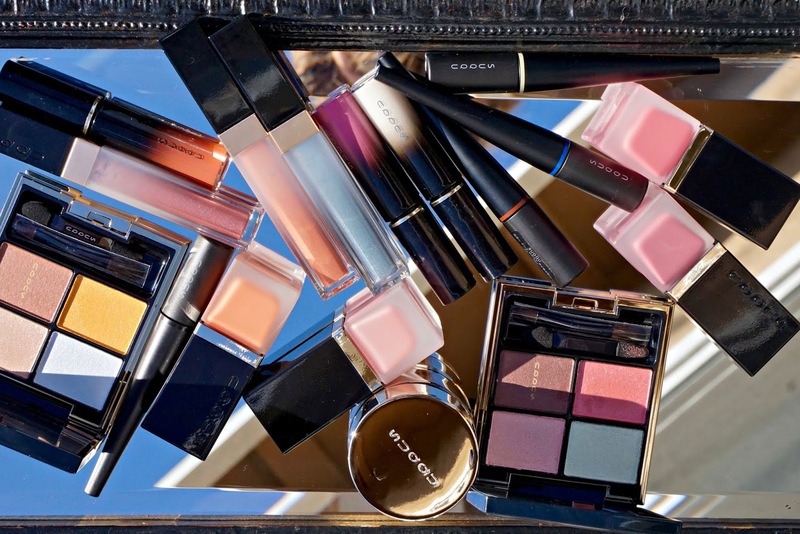 Introducing the *SUQQU Spring/Summer 2019 Collection. 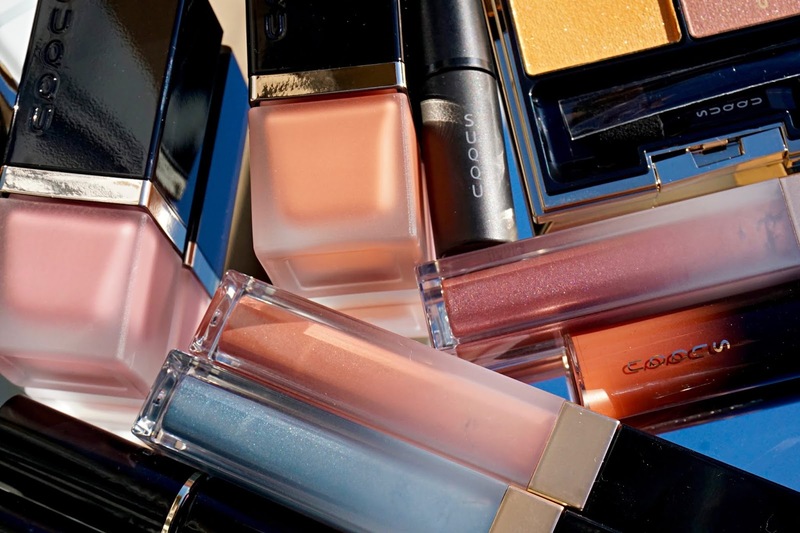 Brimming with modern yet wearable color that instantly flatter the complexion, the *SUQQU Spring/Summer 2019 Collection (also available at Harrod's) has arrived, allowing us to preemptively prepare for the sunny days that lie ahead. Inspired by the fresh hues and innovative textures, I am excited to share an image-laden overview of this gloriously covetable collection! 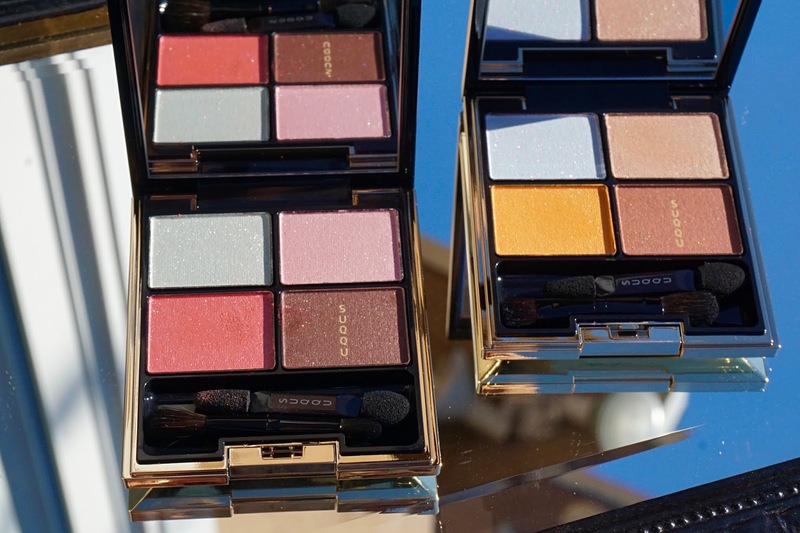 *SUQQU Designing Colour Eyes Palettes in 12 and 124. 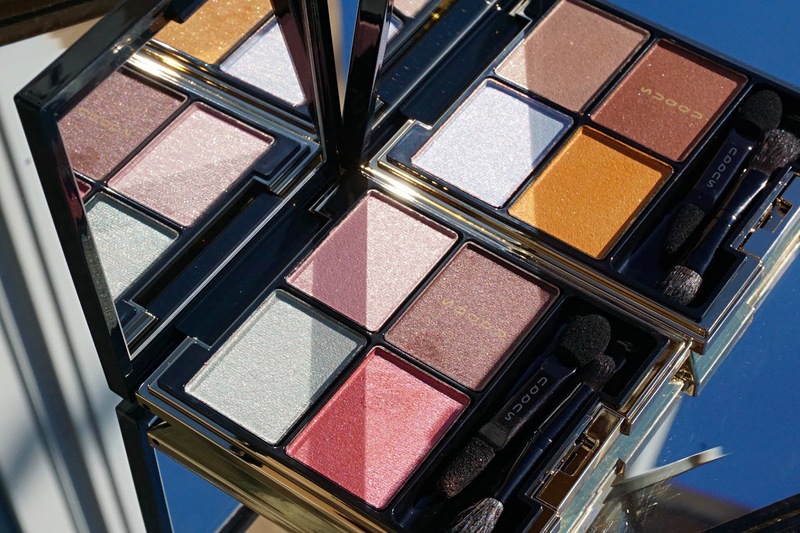 12 Genkouakane: A mix of pale green shimmer, delicate fairy pink, lush coral pink and rich sueded brown. 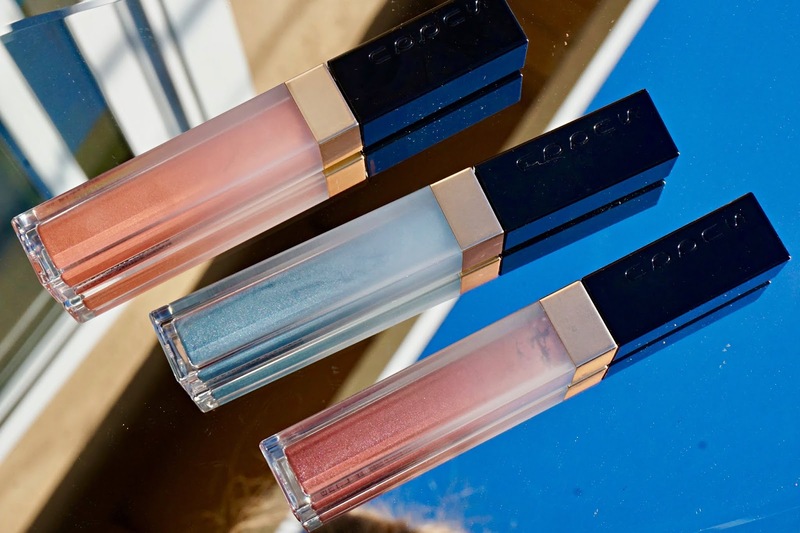 124 Toukiyou: A mix of icy blue, shimmering sand, glistening gold with a mustard undertone (so chic!) and warm burgundy brown. 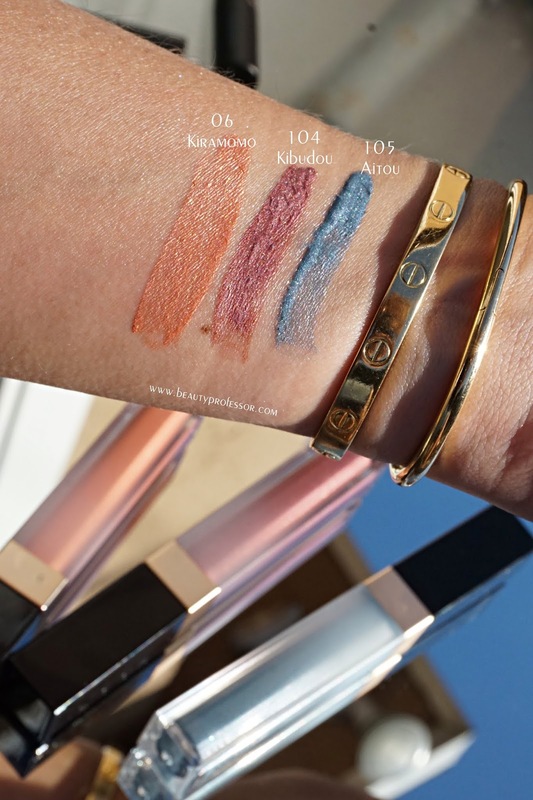 Also for eyes, there are three new shades of the weightlessly whipped *SUQQU Glow Touch Eyes (also available at Harrod's with additional shades swatched and reviewed HERE). 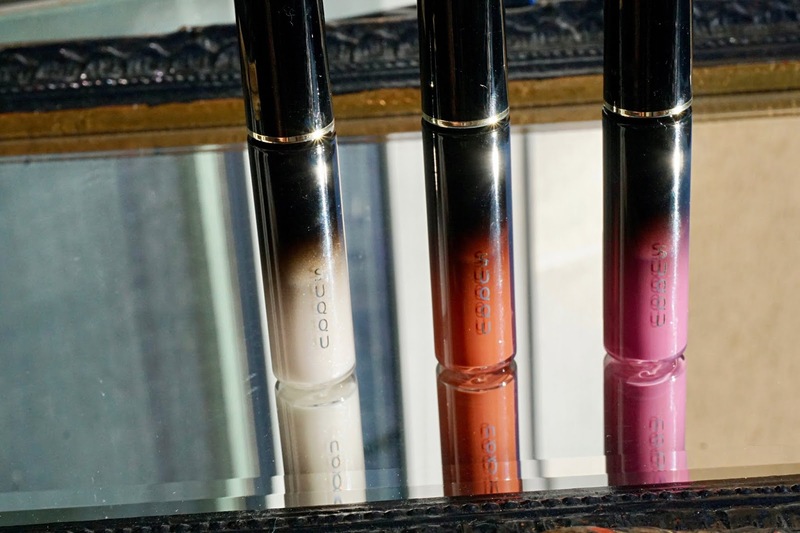 I love that the creamy formula can be applied sheer and built up to medium-full opacity in a couple of crease-resistant coat. The color payoff is simply gorgeous and the luminosity is sublime. 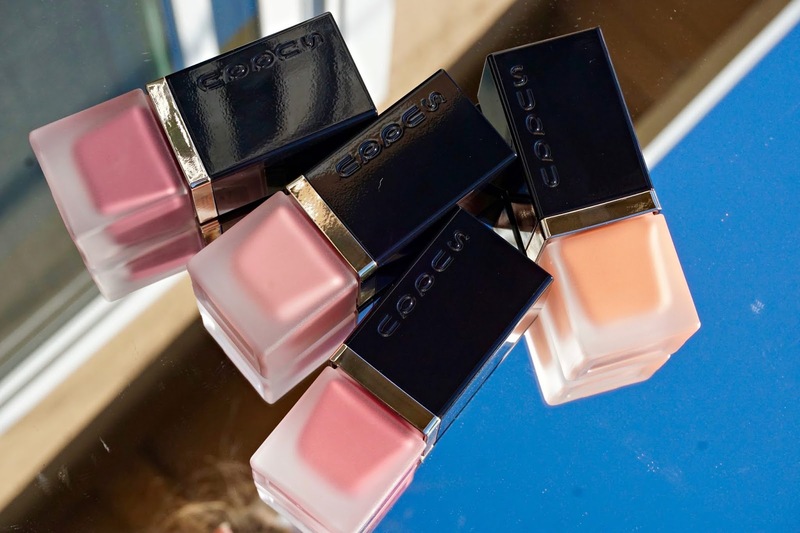 The next component of the *SUQQU Spring/Summer 2019 Collection (also available at Harrod's) is blissfully creative with an effortless result. 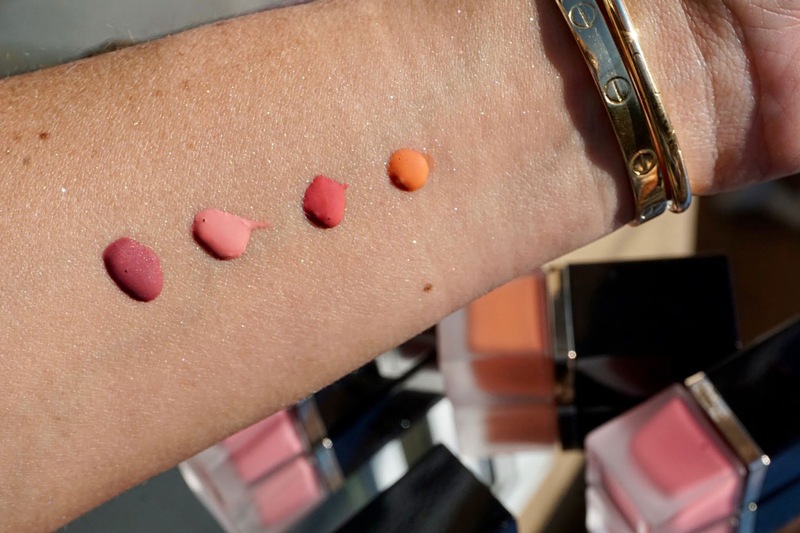 The *SUQQU Shimmer Liquid Blush (also available at Harrod's) is a liquid formula (with a pump top for precision and control) that harmoniously blends color with radiance for flush that also possesses a lit-from-within glow. 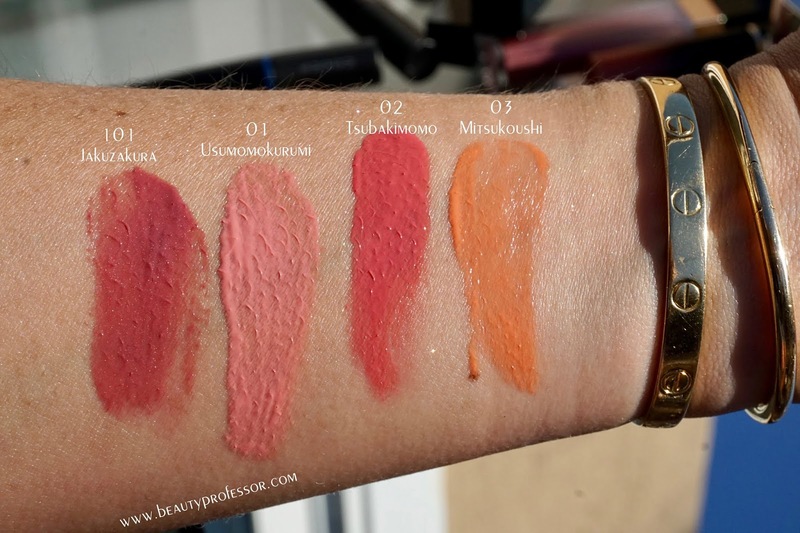 The blush is lightweight and buildable for incredible customization...even though the colors seem quite vivid in the heavy swatches below, I assure you that they are very easy to work with and look remarkably natural on skin. I prefer less than a single pump to prep my cheeks with a rosy incandescence. 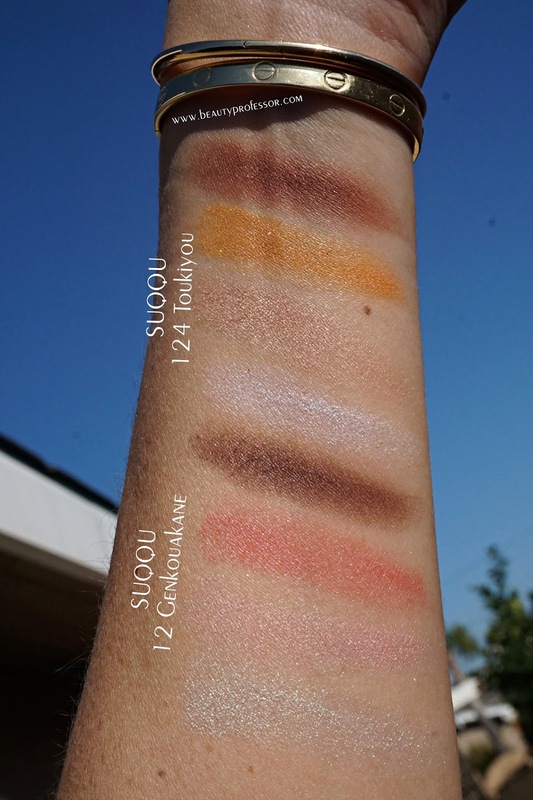 Swatches of the *SUQQU Shimmer Liquid Blush in direct sunlight. 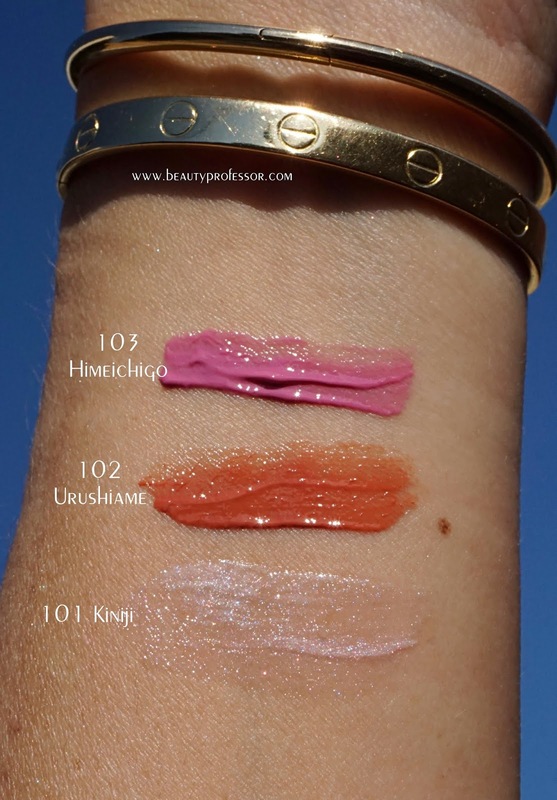 Swatches of the *SUQQU Stain Lip Lacquer in direct sunlight. Finally, for eyes I am intensely impressed with the *SUQQU Colour Ink Liquid Eyeliner (also available at Harrod's). I have tried a lot of eyeliners in my day and rarely does a formula grab my attention the way this ultra-pigmented liquid version did! 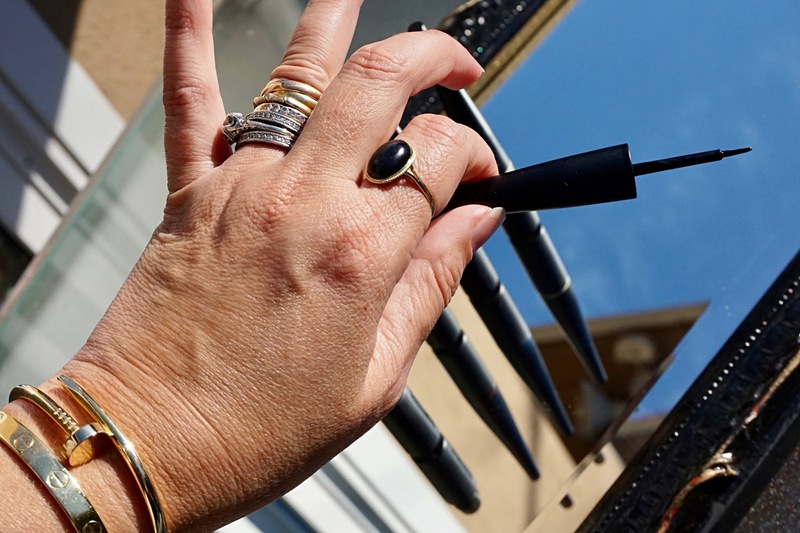 The precision applicator yields major color payoff that, once it dries down (in a matter of mere seconds), stays in place until you decide to remove it. Watery, allergy-ridden eyes are no match for this potent, smudge-free and flake-free formula...I am beyond smitten with its performance! 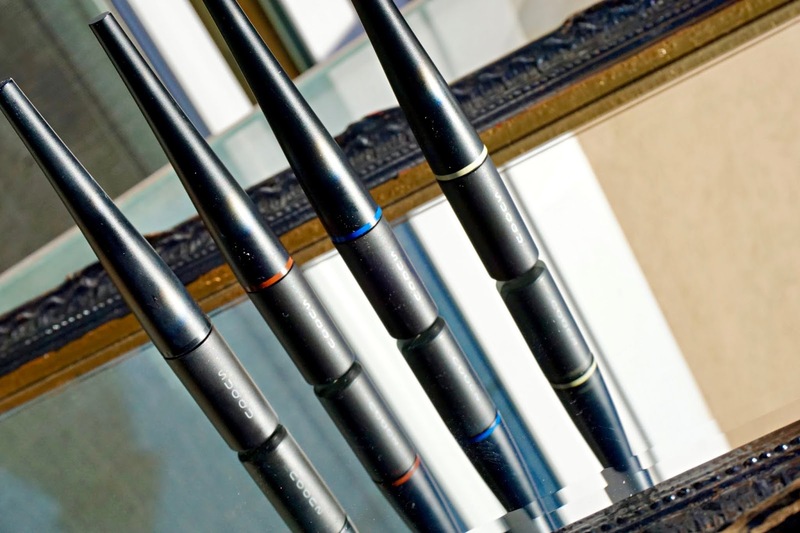 The *SUQQU Colour Ink Liquid Eyeliner has a fine felt tip applicator for extreme precision. 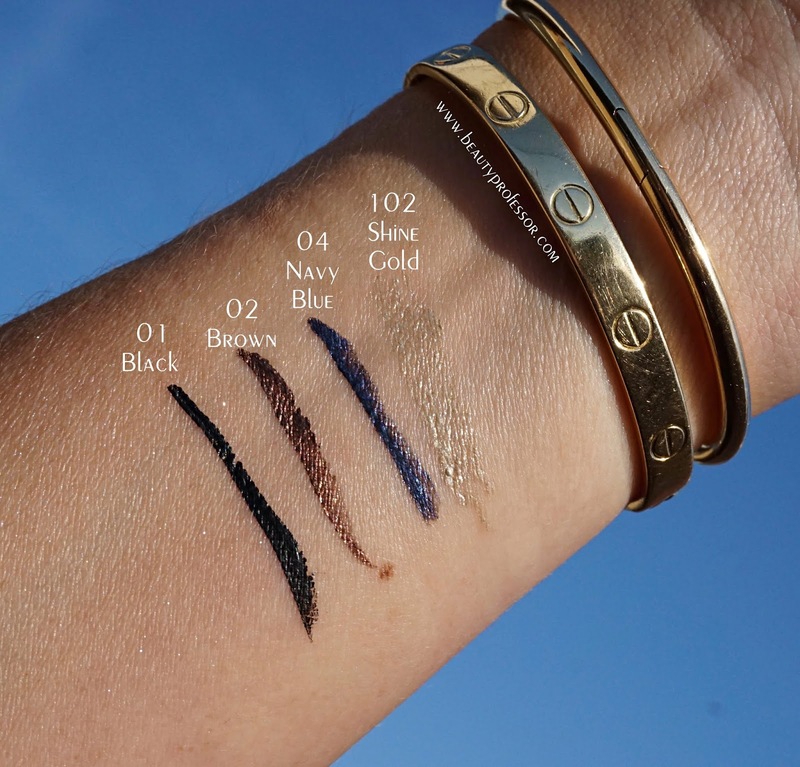 Swatches of the *SUQQU Colour Ink Liquid Eyeliner in direct sunlight. The eye look...I applied a light wash of the *SUQQU Glow Touch Eyes in #104 (Shine Grape) and finished this classic look with a generous application of the *SUQQU Colour Ink Liquid Eyeliner in black. This formula must be tried to be believed! 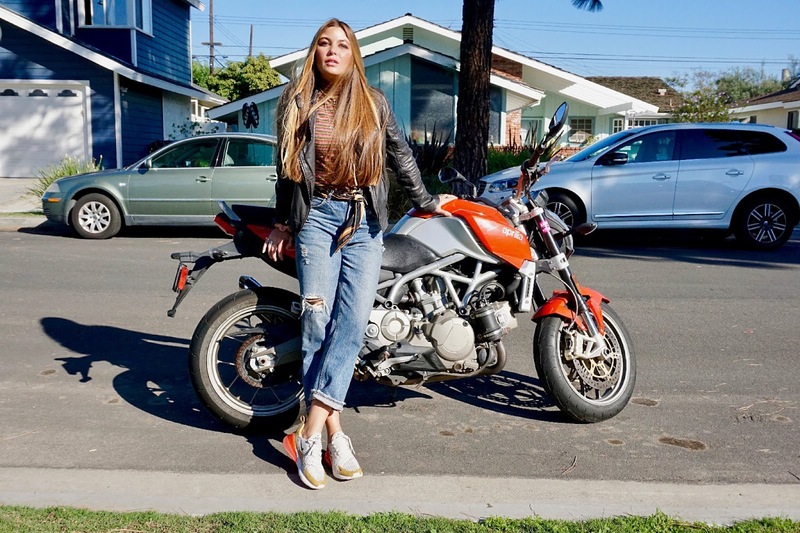 // STYLE NOTES // Cool weather is tempered by a mock neck, boyfriend jeans, sneakers and a quintessential leather jacket. Reformation Mock Neck Top (also available in dress form): I have this top in two colors and am seriously considering picking up a third. The mock neck is comfortable and the material is slightly stretchy and perfect for a brisk day. Tip: I find that this style runs small, so I am wearing this in a size large. Moussy Vintage Jeans: This timeless oversized boyfriend cut is further enhanced by super soft denim that feels like its been worn for twenty years (so good, no?). Vintage Gucci Silk Scarf (worn as belt): Due to its utilitarian nature, a silk scarf is always within an arm's reach for me. This particular one experiences near daily wear! 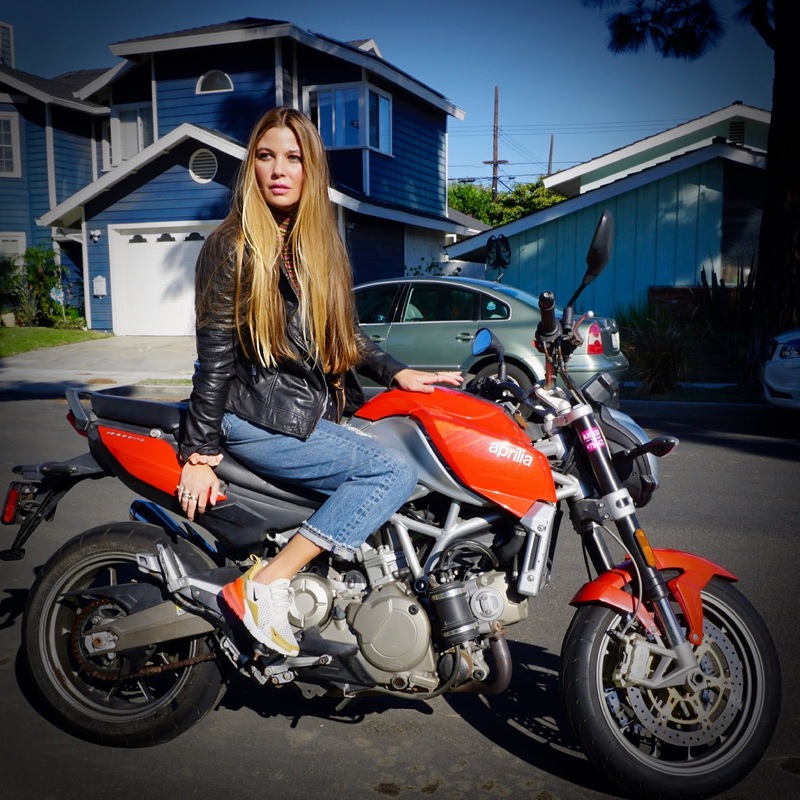 Black Leather Moto Jacket: What is better than a buttery leather jacket with motorcycle-inspired details? 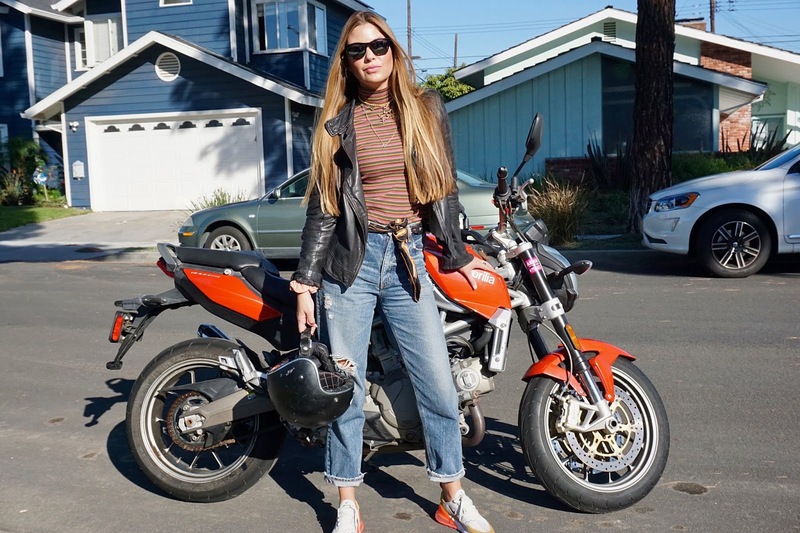 Once you find your ideal fit and cut, you'll realize that it can be worn year round with a myriad of outfits--from a frothy midi dress to jeans and a tee--making it the MVP of your wardrobe. Here are similar options at different price points HERE and HERE. Nike Air Max 270 Sneakers: This pair of tennis shoes has already made multiple appearances on BP and show no signs of slowing down; they are insanely comfortable and look fresh and fascinating while matching everything. 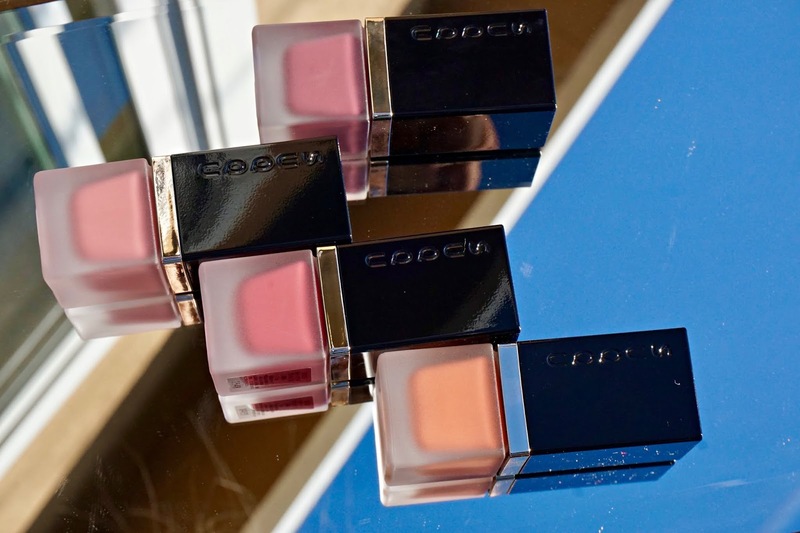 Applying *SUQQU Stain Lip Lacquer in the icy pink shade #103. 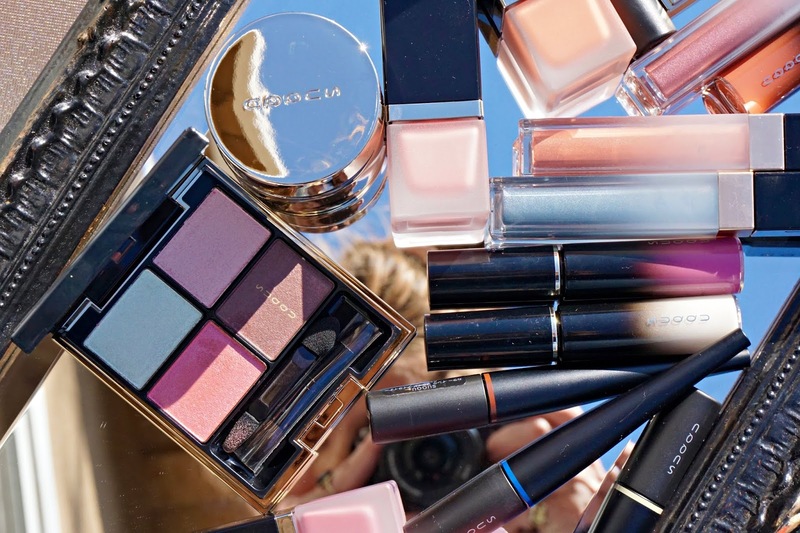 Bottom Line: I hope you enjoyed this over view of the *SUQQU Spring/Summer 2019 Collection (also available at Harrod's) and I highly recommend acting in haste to pick up whatever may have caught your eye (do tell!) as everything is expected to sell in the next few days. 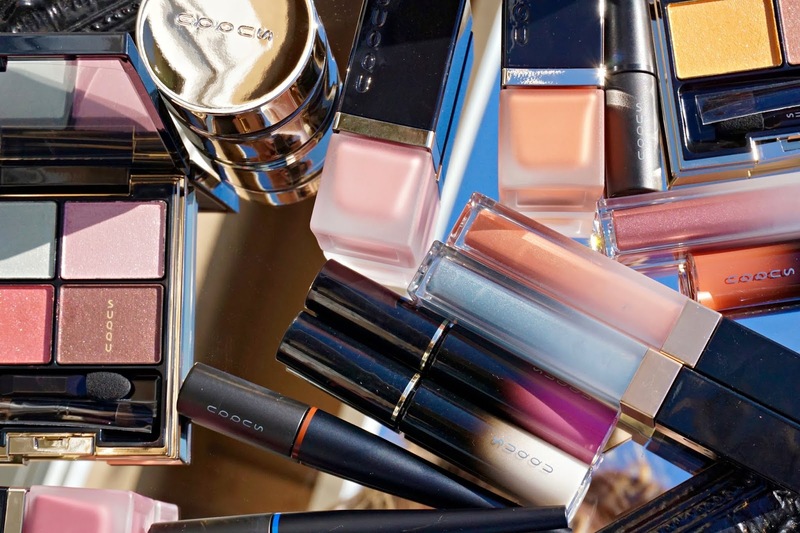 Good things ahead, including an on-location beauty story, a fresh video tutorial and a host of new product procurements (SO much has been launched recently)...cannot wait to share!